Sometimes its not that a child doesn’t like a certain food, sometimes they may prefer it cooked a certain way. I found this to be true with the ever-hardy vegetable, broccoli. I tried different seasoning, adding cheddar cheese (who doesn’t like cheese?) and cooking in different methods. Typically when we are in a time crunch I will steam them in a glass bowl inside the microwave. 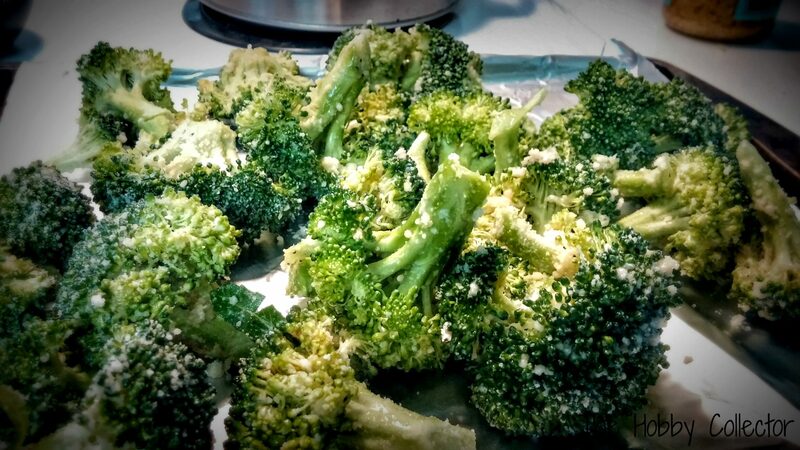 I never boil, but love roasting broccoli. The first time (and now the only way I make it) I added, Parmesan cheese (the one in the jar). I also seasoned it with garlic powder, salt, and Greek seasoning. My son loved it! I finally found a way to get my little man to eat these fiber packed veggie! So, how do you guys like to make your broccoli? Add olive oil to coat, add garlic powder, salt (to taste), and Greek seasoning, I give a few generous shakes to cover ( I never measure, lol). Add 1/4 cup of Parmesan Cheese, if you like it cheesier, by all means, add more. Out of my 4 kiddos, they each prefer their broccoli a different way! My oldest will LOVE this recipe! 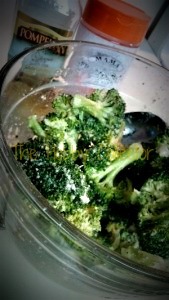 I love broccoli no matter how it's cooked but this sounds like a great update to plain old plain old! I've never had roasted broccoli. The seasoning looks and sounds quite tasty. You have to try it Aimee! 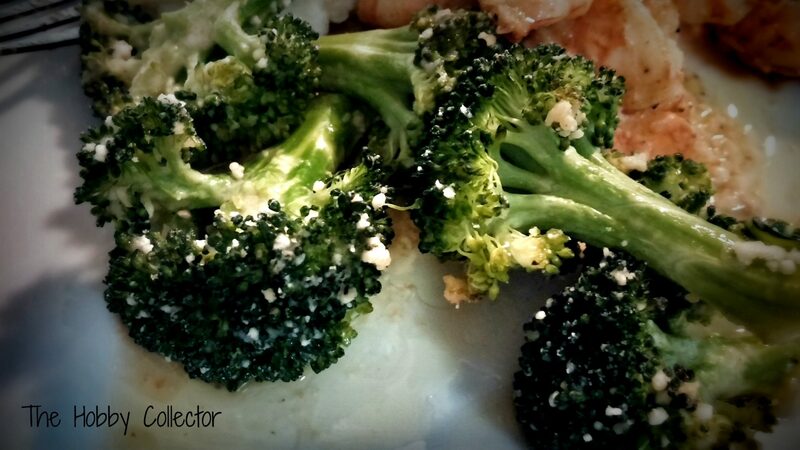 I love roasted broccoli! I know adding the Parmesan makes it even more yummy! Looks delicious! This is super easy and a great way to enjoy your greens! You son will be eating them all soon. This looks awesome! I usually just roast my broccoli with a little olive oil and salt. I don't know why I never thought to add anything else but I will definitley have to try this! 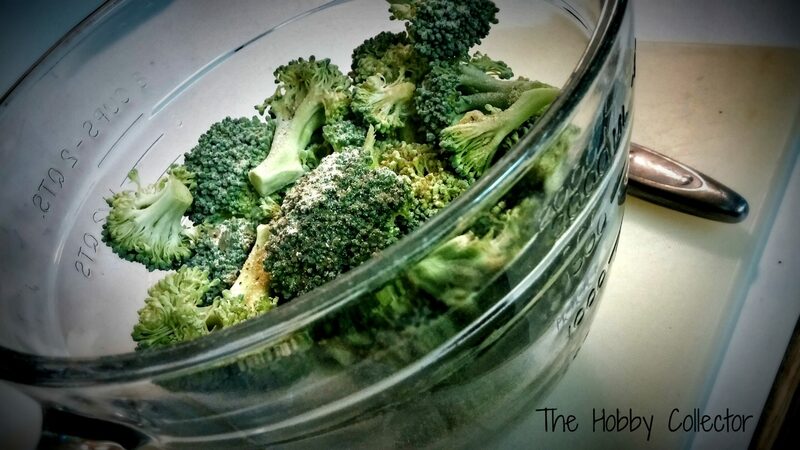 We love eating broccoli in my house, but we're always looking for a new recipe to try. Thanks for sharing!